Telltale Games announced ahead of San Diego Comic-Con 2017 (due from tomorrow until Sunday, July 23rd) Batman: The Enemy Within – The Telltale Series, a standalone continuation of Batman: The Telltale Series where fans will have the option to carry over choices from the first season. 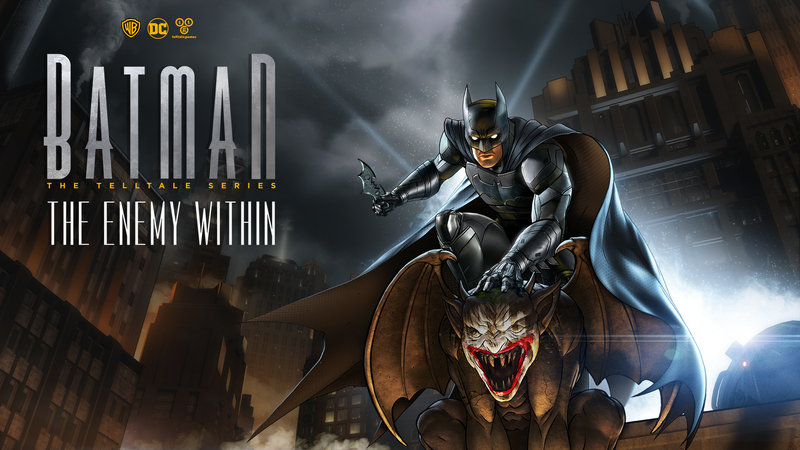 Batman: The Enemy Within will also feature Telltale Games’ unique Crowd Play feature, allowing friends and family to engage in the story by helping with the choices via any mobile device with an online connection. Here’s a brief overview of the story; the first episode, titled ‘The Enigma’, will be out on August 8th. That was only the first of three announcements by Telltale Games. They’ve also confirmed that a new, standalone season of The Wolf Among Us will debut in the second half of 2018. This new season will begin a fresh story arc for its returning cast of characters, featuring the return of Adam Harrington as Bigby Wolf and Erin Yvette as Snow White. Last but not least, The Walking Dead: The Telltale Series – The Final Season (working title) will also premiere in 2018. Telltale confirmed that this fourth and final season would focus on Clementine in the lead role, allowing players to fully step back into the shoes of the fan favorite character. It’s going to be an amazing experience. Thank you all so much, from the bottom of my heart. It’s been a lot of blood, sweat, and tears, and so much love has been behind this whole experience. Good luck, I’ll be right there with you. You can find the three announcements in video form below.